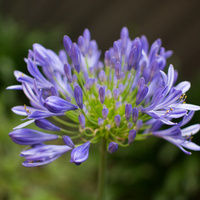 Agapanthus is a perennial herb from southern Africa, widely cultivated for its showy flowers. 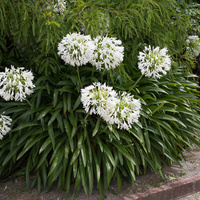 Its usual growth habit is to form clumps of plants, each up to 75 cm (2.5 ft) tall and made up of deep green, arching sword-shaped leaves in a fountain-like arrangement. The underground parts are thick rhizomes and fleshy roots spreading in all directions. The flowers are funnel-shaped, up to 5 cm (2 in) long and either deep blue, lavender or less commonly white. 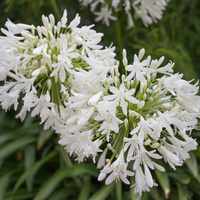 They are held in rounded clusters high above the plant, atop tall green stems, and come into bloom from spring through summer, extending into autumn in some areas, depending on the prevailing climate. Fertilized flowers are followed by small, elongated seedpods becoming brown when dry and contain tiny, glossy black seed with a wrinkled, papery surface. 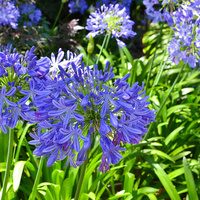 Agapanthus is commonly cultivated as a ground-cover, border plant or in garden beds for its showy flowering display. It is also ideally suited for growing in large tubs, containers and pots. 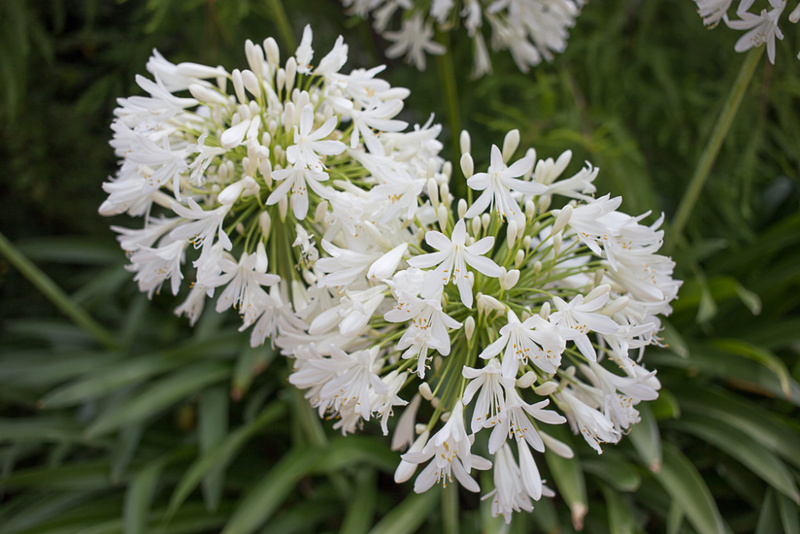 The flowering stems are suitable for floral arrangements and are cut when the flowers have started to open. Stems with the flowers falling off when shaken are usually too old and should be avoided. After cutting, the stems are placed cut end in cold water with a floral preservative added to increase longevity. Their vase-life is about 4 to 7 days. If being shipped, they should be kept at between 4 and 8 °C (39 and 46 °F). 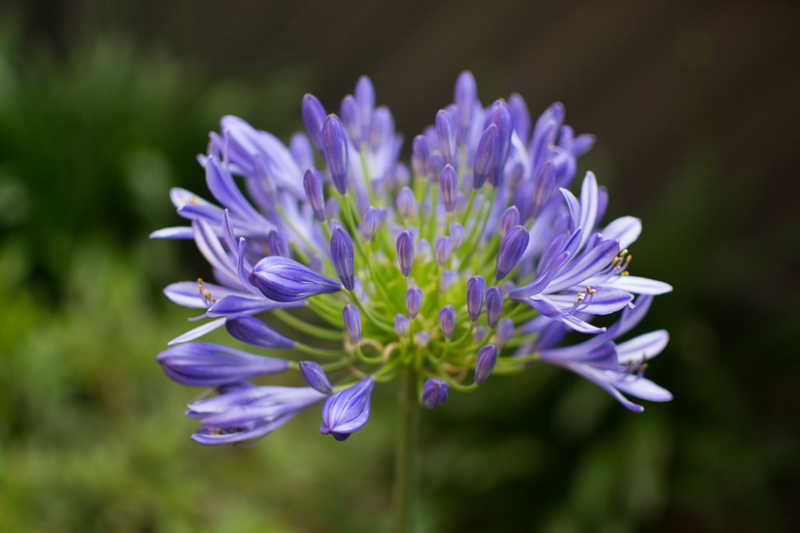 Although naturally adapted to cool climates, Agapanthus grows and flowers reliably in moderately humid subtropical and tropical mid- to high-elevation climates, generally in areas with annual lows of 8 to 20 °C, annual highs of 17 to 29 °C and annual rainfall of 500 to 2500 mm. However, plants may fail to flower in areas where the average low of the coldest month is above 15 °C (59 °F). New plants are usually started from divisions but can also be raised from seed. Seed germination is best when lightly covered and in a free-draining potting mix. They germinate in about four to six weeks and seedling plants start to flower when about two to three years old. 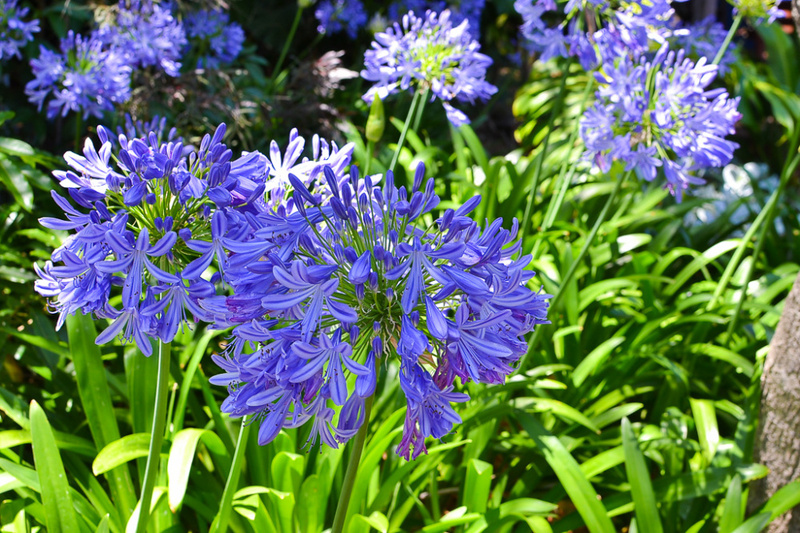 Agapanthus performs best on rich, free-draining loam and sand soils of a moderately acid to neutral nature, generally with a pH of 6.5 to 7.5, and on sites with full to partial sun exposure. 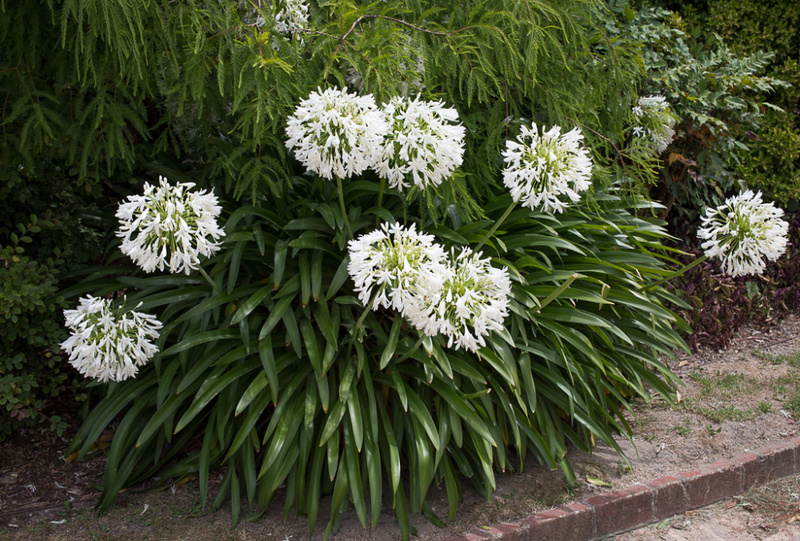 Agapanthus is recorded as having naturalised in more than one country, but there does not appear to be any record of it anywhere as a serious weed or invasive species. It is assessed as a low weed risk species for Hawaii, by the Hawaii Pacific Weed Risk Assessment project (HPWRA).